This plant has several seasons of interest throughout the year, so it makes it a great choice for the smaller garden. 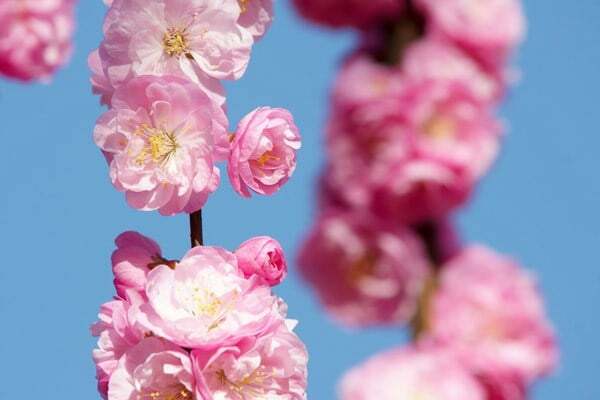 It is a picture in early spring, when its bare branches are laden with clear pink bowl-shaped flowers. These are soon followed by rich green leaves, which have a slightly paler reverse, and later still (from midsummer to autumn rounded red fruits appear. 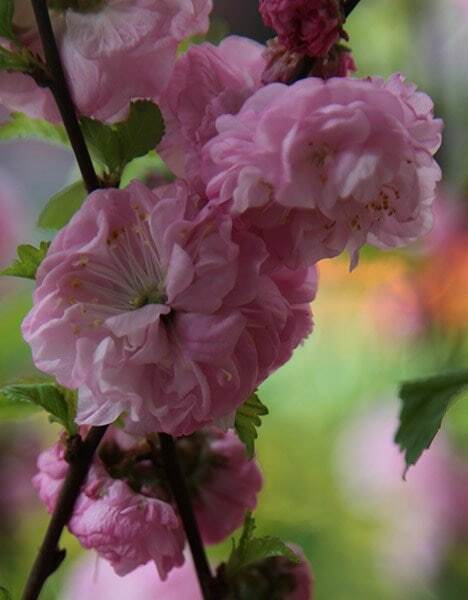 Naturally bushy in habit, it can be trained as a small tree over time, and where space is at a premium, it will also make an ideal wall shrub if the old flowering shoots are pruned back immediately after the flowering has finished. Had seen this in a neighbours garden and just had to get one myself. Now a year on and its a mass of pink buds, cant wait for them to open. 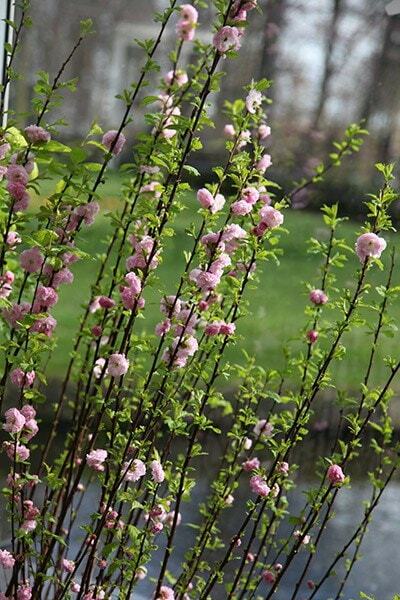 Prunus Triloba Shrub - can you please tell me if these plants have invasive roots? Hello, I have never heard of the roots being particularly invasive, however they can be quite shallow - and the plant may produce a new shoot if they are damaged. Hello, Does the foliage have specific autumn colour? Many thanks. Hello there This plant isn't known for it's autumn foliage although it usually turns a pleasing yellow/ bronze colour, but really it is the red fruits that are the main attraction. 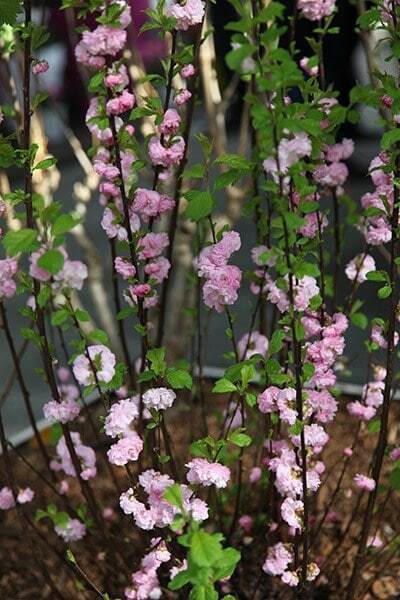 Hello, This is a shrubby plant rather than a tree, so it should be around 30cm high in a 2-litre pots.